Trentino is a lovely province in the North of Italy. Think mountains, but also stunning lakes and charming historical towns. Trentino is not half as well known by the mass traveller as the perennial favourite Tuscany. However, it is a much more peaceful and a very re-energising place. believe it or not, the herd of alpacas and llamas that we made friends with. So, I thought I should share with you our four-day itinerary. Just in case you really feel like taking off for a few days and getting in contact with nature and yourself. Before I delve in, let me give you some more details about Trentino, Italy. 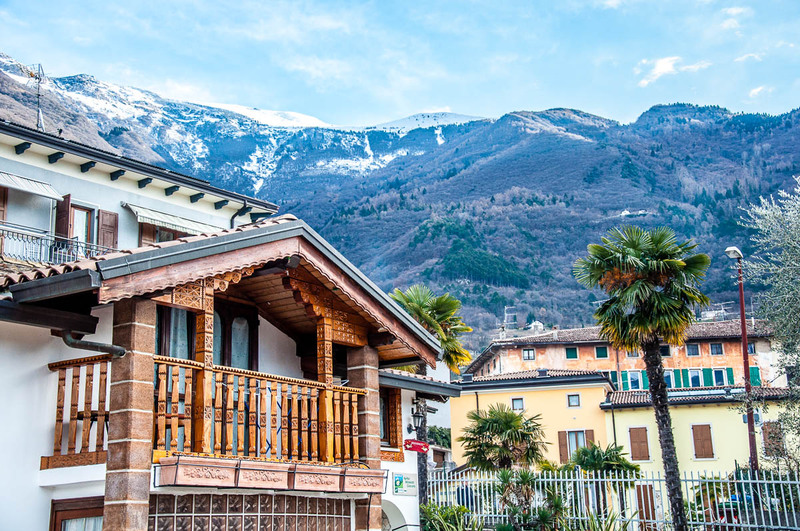 Situated at the Northern top end of the country, Trentino is surrounded by the regions of Veneto and Lombardy, and the province of Alto Adige . Its capital is the city of Trent (where the Council of Trent was held between 1545 and 1563). 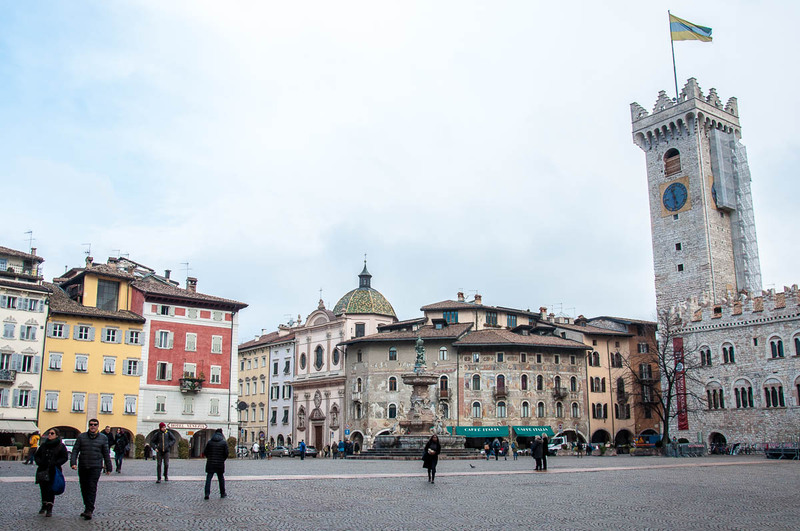 If you are flying in from abroad, you can easily reach Trentino from the airports of Verona (the closest one), Venice Marco Polo, Treviso and Bergamo Orio al Serio. If you live in Vicenza, just like I do, it will take you less than two hours to reach Trentino by car. 1. The four-day Trentino itinerary suggested below is best explored by car. You can easily get to the major towns and cities in Trentino by train, too. However, if you want to reach quickly and comfortably most of the sights I recommend below, you better do it by car. 2. This is a packed programme. Feel free to take it as easy as you like and shave off certain parts of it. I just wanted to give you an idea as to the many wonderful things you can do in Trentino, Italy with or without kids. It’s best to take an early flight, if you can. Flying into Verona will ensure that you don’t have to drive far to reach Trentino. Upon arrival, pick your rented car. Alternatively, pack and leave Vicenza (or Padua, or Verona, you get the drift) as early as you can. There is lots to see on the way to Trentino, so the earlier you leave, the more you will be able to pack in. 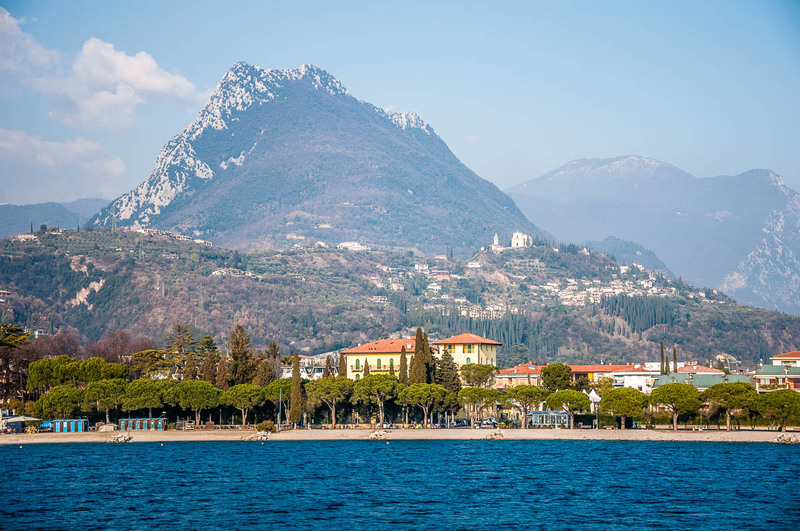 Drive to Torri del Benaco on the shores of Lago di Garda – Italy’s biggest lake. 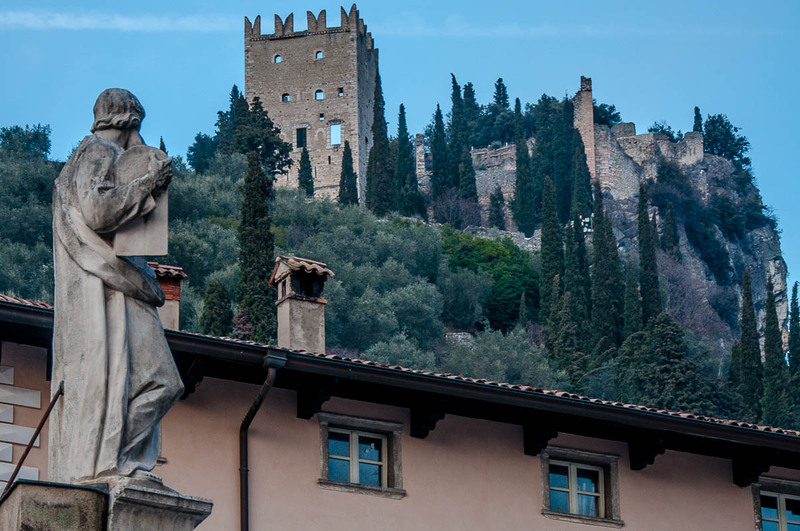 Torri del Benaco is a pretty, picturesque town with a well-preserved Scaliger Castle. Nowadays this medieval castle houses an Ethnographic Museum and has a limonara. This is a a winter garden with huge lemon trees which was created in 1760 and is one of the very few of its type. Click here and under number 5 in the list you can read more about the town and what to do there. Spend a relaxing hour in Torri del Benaco and then get the ferry across lake Garda to Maderno/Toscolano on the opposite side. The ferry crossing at this point lasts only half an hour and gives you a chance to admire the scenic beauty of the lake. Upon arrival, you can spend some time at the beach, see the ruins of a Roman villa or, if you are interested in the industrial history of Italy, head to the Paper Museum. 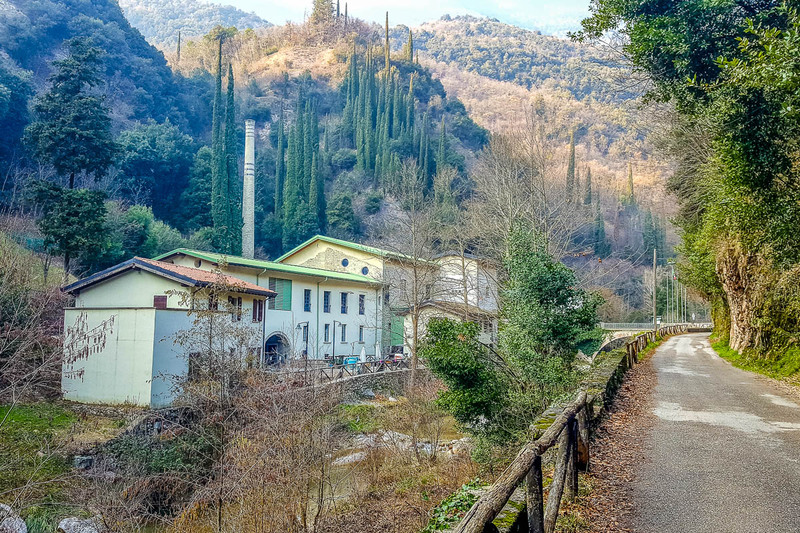 Located just outside of Maderno/Toscolano it gives you a glimpse into Italy’s industrial past. Paper mills have been in existence along the Toscolano river since 1381. In the 15th and the 16th century, the valley with its over 60 paper mills became the leading paper manufacturer of the Republic of Venice. Click here and check point 10 in the list to learn more about Maderno/Toscolano and the Paper Museum. Next, head up to Riva del Garda – one of the prettiest towns in Trentino, which is rightly known as the jewel of lake Garda. 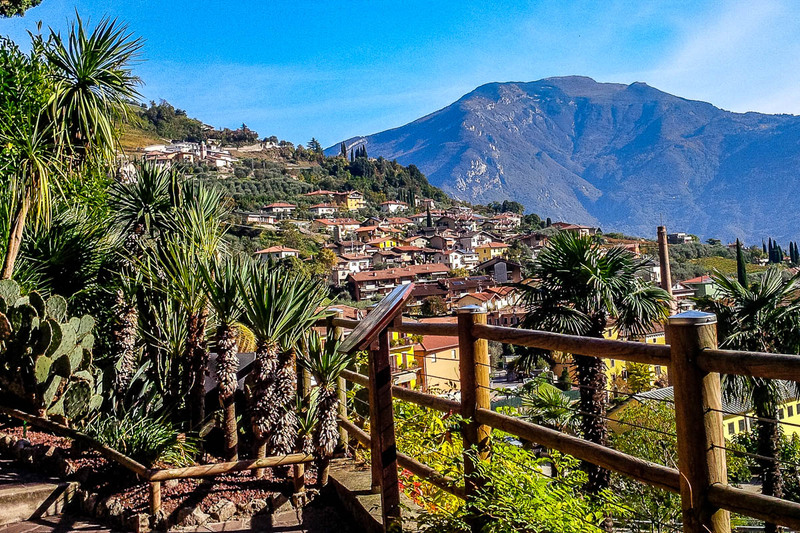 On the way there, you will pass through Limone sul Garda – another very pretty town on the shores of the lake. You can stop there for a coffee if you like and if time permits. If not, make sure that you spot from the car the amazing terraced citrus gardens which surround the town. The drive between Limone sul Garda and Riva del Garda will take you through a series of narrow tunnels dug straight into the rock. Each tunnel carries a name inspired by ancient mythology. 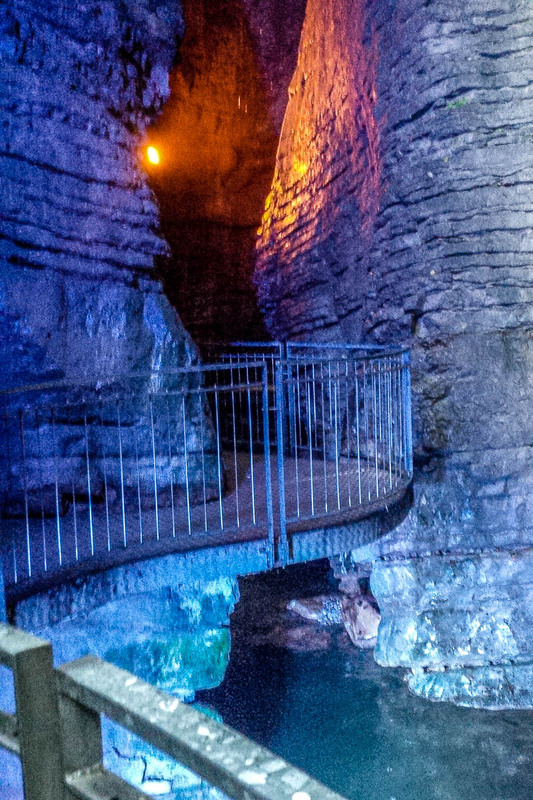 For example, you will need to negotiate the Tunnel of the Dwarves, the Tunnel of the Fawns, the Tunnel of the Furies and even the Tunnel of the Gorgones, which is rather scary with its uneven rocky surface. The important bit is that by driving through the tunnels you will be crossing from the region of Lombardy into the province of Trentino, Italy. several nearby beaches, sport centres and hiking trails. 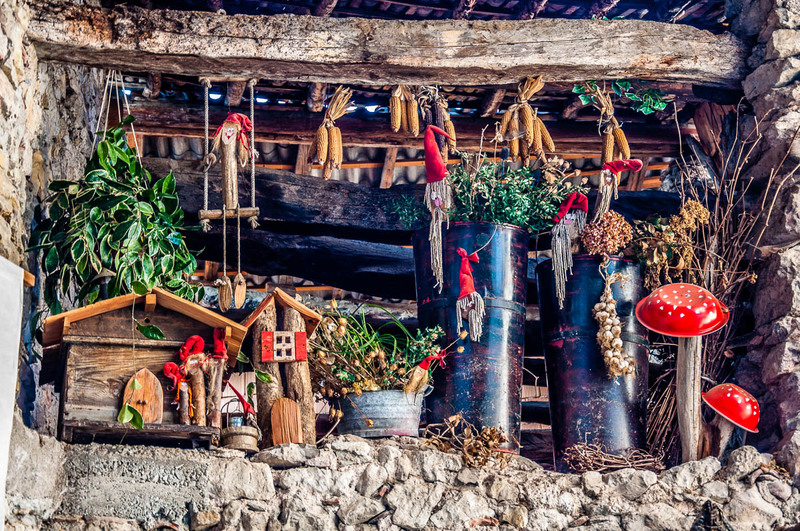 Plus, in winter Santa Claus himself sets up house in Riva del Garda which can be visited by children and adults alike. It’s been a long and very active day, so check into your hotel for a good night sleep. You can opt to stay in Riva del Garda or, as we did, in nearby Arco. Arco is a very elegant town. Surrounded by sheer limestone cliffs, it has a ruined castle and several beautiful churches and palazzi. The town has a very Tyrolean feel to it and it is interesting to note that the Habsburg Court used to spend the summers there when this part of Italy used to be under the rule of the the Austro-Hungarian Empire. Empress Sisi herself would come to Arco, too. We opted to stay at Agritur Michelotti Giancarlo. Our small flat had a bedroom, bathroom and a lounge with a kitchenette allowing us to cook meals and feel at home. Plus, it was very inexpensive, considering that we booked at the last minute. If you want to have a look, click on the link. Just to let you know that this is an affiliate link. In case you make a booking through it, I will receive a small commission at no cost to you. Put on your hiking boots today! It’s going to be a long and exciting day of discoveries. Bring packed lunch, water and some snacks with you. There are some restaurants along the way, but as you will be hiking, it would be good to have food and water with you just in case. Especially, if you are travelling with children. Your first stop is going to be the Varone Falls (in Italian Cascate del Varone). This is a great big gushing waterfall in a cave. Nature took 20 000 years to shape this stunning place, so take your time to see it all and feel the power of the water tumbling down the gorge. 1. The Lower Cave gives you access to the bottom part of the waterfall. There are metal walkways with handrails so that you can get as close to the water as safely as possible. Floodlights cycle through a set of colours, bathing the surrounding craggy rocks in purple, red and blue. This makes the place feel even more dramatic and fairytale-like. 2. The Upper Cave – 40 meters up the cliff you will find a little alcove. Enter and in the darkness you will see the top portion of the mighty waterfall. It is an incredible experience, especially if you see the ‘Horse Head’. This is a horse-head-shaped rock that could be glimpsed inside. Between it being dark and the noise and the power of the water, suddenly spotting this rock just as your eyes had adjusted to the lack of light, can give you a bit of a start. At least, it did to me. A gorgeous natural park connects the Lower and the Upper Caves. A wide path surrounded by plants and palm trees helps you easily navigate between the two. Classical music plays as you walk up. 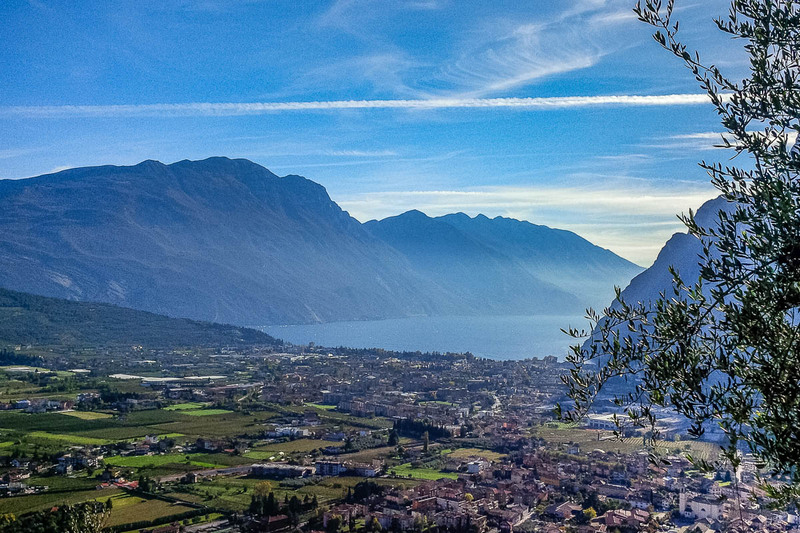 A stunning view opens towards the mountains and the Northern end of lake Garda with Riva del Garda between the two. Visiting the Varone Falls is a must when you are in this part of Trentino, Italy. Next, get in the car and navigate the narrow and winding road which will take you higher and higher up the mountains. Your destination is the medieval village of Canale di Tenno. Poised at 600 m above the sea level, the village dates back to at least the early 13th century. 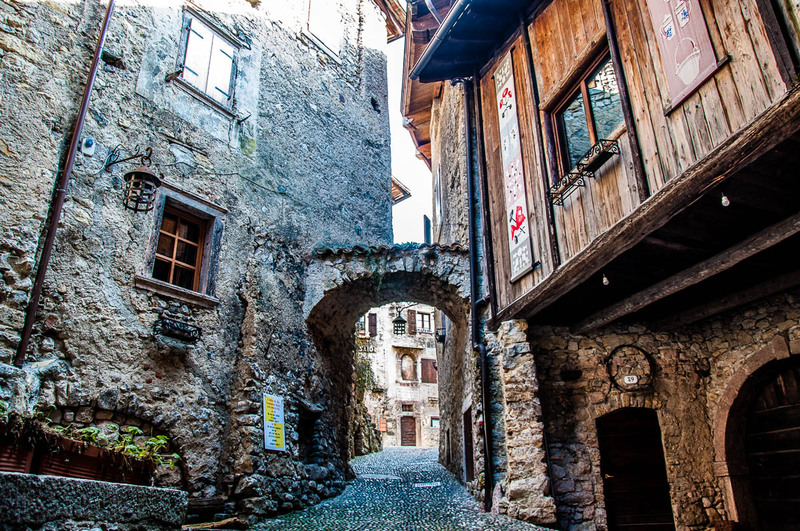 Recognised as one of Italy’s most beautiful villages, Canale di Tenno in Trentino preserves its original architecture. Tall houses made of stone and cobbled-streets converge together to create a dreamy vision of times past. Canale di Tenno attracts artists from all over Italy and Europe and the village has a decidedly artistic feel to it. The local Casa degli Artists (House of the Artists) is where painters, sculptors and other creators take residences through the year. Several festivals and a lively Christmas market are organised annually. The village feels sleepier in winter and much livelier in summer. In any season it looks gorgeous and it will delight fans of photography with its many original viewpoints. Be aware that you cannot drive all the way up to Canale di Tenno as the village is car-free. There are a couple of small parking areas along the Strada delle Ville. You can leave your car there and then simply follow the cobbled path up the hill to the village. 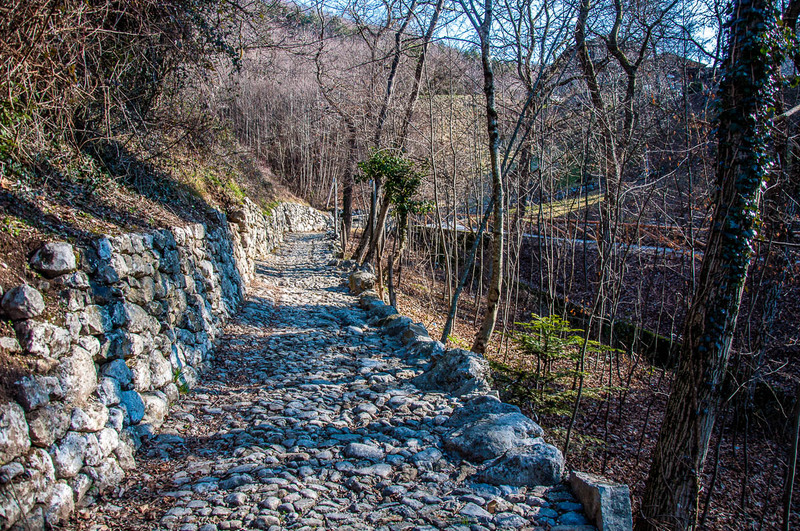 The path is well maintained and, at certain points, with handrails, but it can get mildly steep and there are some steps. It is not suitable for buggies. 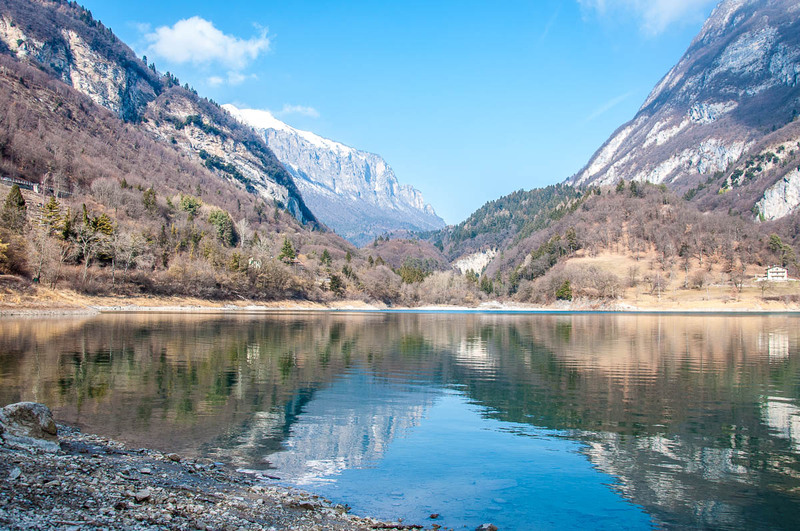 If you cannot find parking spaces along the Strada delle Ville, then continue driving to the next stop on our travel to-do list for today: Lake Tenno. There is a large parking area adjacent to a local hotel and restaurants. 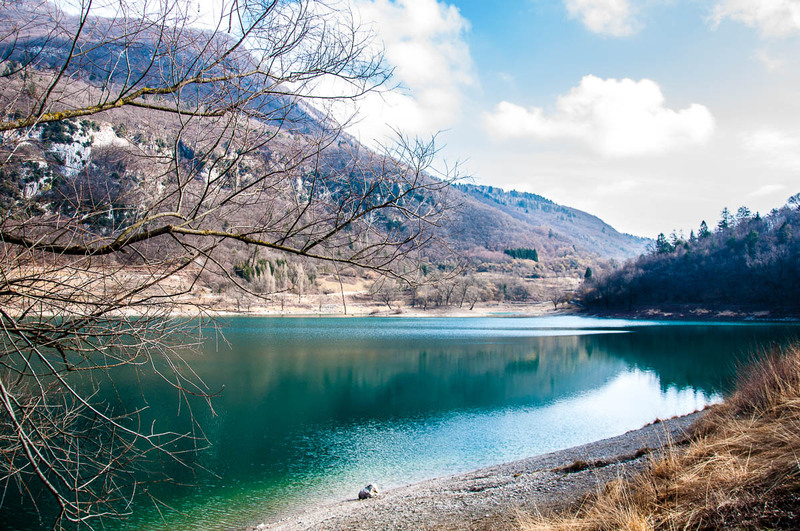 From the lake, you can hike to Canale di Tenno in about half an hour. Once you have finished your visit there, walk back to the lake and spend some time on its shores, too. Lake Tenno is stunning. Small and compact, its turquoise waters are captivating to look at. You can walk around Lake Tenno in about an hour (find more details here). Or, you can take it easy and relax on the lake shores just taking all that natural beauty in, one stunning view after another. Lake Tenno is the sixth largest lake in Trentino, Italy. Once you have seen it, it will stay forever in your heart. Speaking from experience! 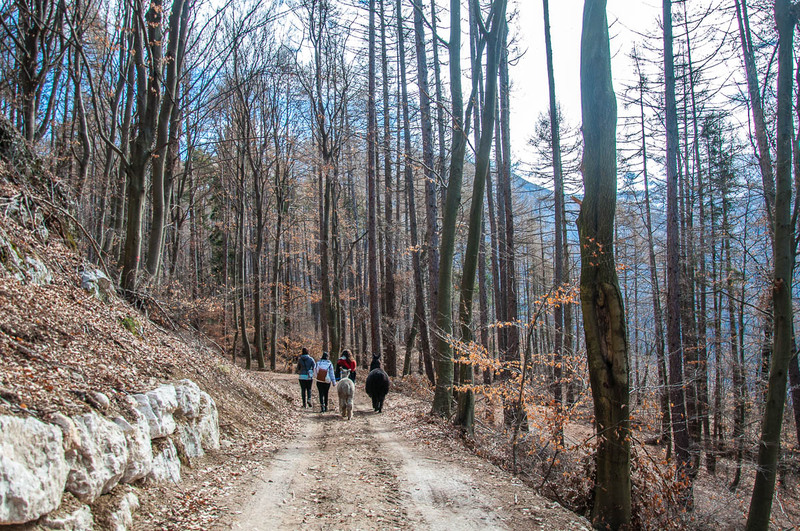 Next, it’s time to head to the archaeological site on Mount San Martino. At a height of 800 m, the site is a short distance away by car from lake Tenno. The setting is very picturesque and it opens up splendid views towards the plains of Upper Garda. Due to the site’s strategic position and good communication links with the surrounding cities and lands, various settlements had been built there through the centuries. Vestiges from the Iron Age, Roman times, and modern days have been discovered. Most recently a church was built there in the 8th-9th centuries and it remained functional until 1750. 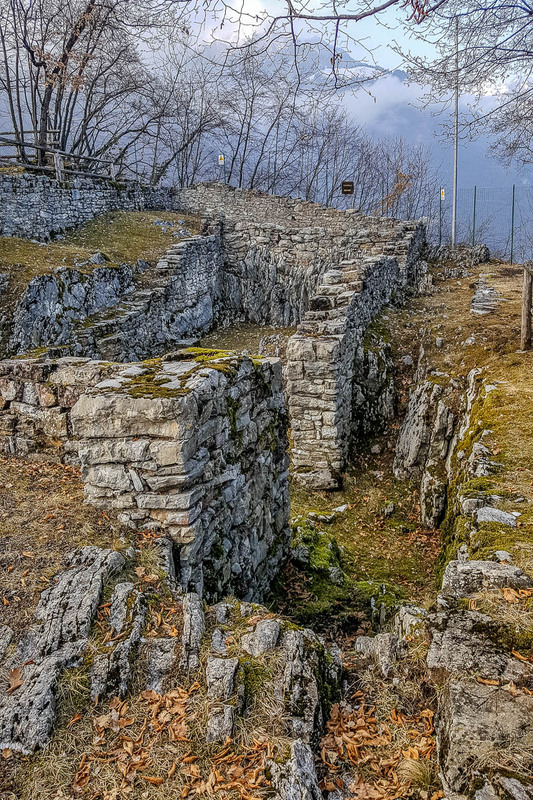 Click here to access the official website of the archaeological site at Mount San Martino in Trentino, Italy. At present, the website is in Italian only, but you can use Google Translate to get the gist of it. To reach the archaeological digs there, you need to punch ‘Localita San Martino, Riva del Garda, Province of Trento’ in your GPS. The long curvy road will take you up and up through the hills. After a sharp turn, you will reach the parking area for the archaeological site. It is not big, but it is well signposted with a big informational billboard and several replicas of items discovered at the site. If you choose to park there, you will need to follow a narrow path (with benches alongside it) through the forest in order to reach the actual site. Alternatively, you can continue driving to the next sharp U-turn. There you will notice a small grassy strip alongside the tarmac where cars can park. You will also see a wooden barrier and a path leading down. 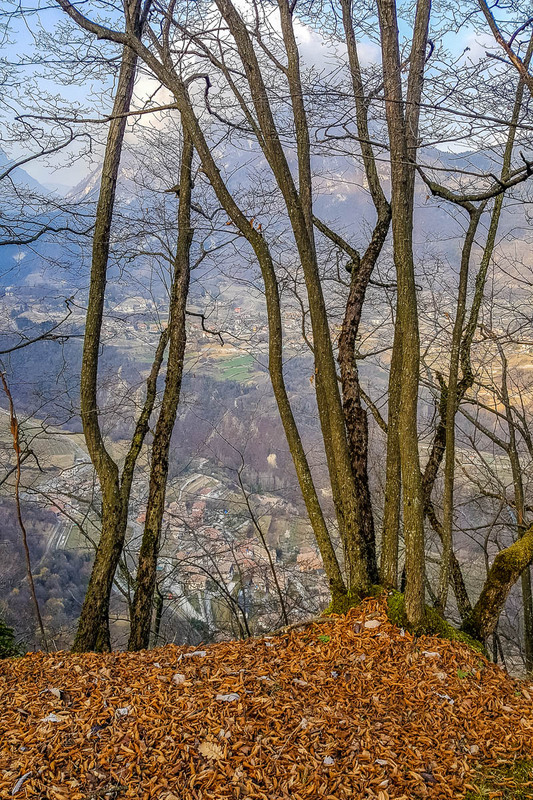 Follow it for five minutes and you will reach the archaeological site of Mount San Martino. The site is very well organised, with lots of large billboards providing extensive information about the digs and the findings. When we visited, there was absolutely no-one around. It felt really nice being up there among the ruins, admiring the stunning views. A great place, especially if you love hiking, history, and archaeology and if you want to experience Italy away from the crowds. 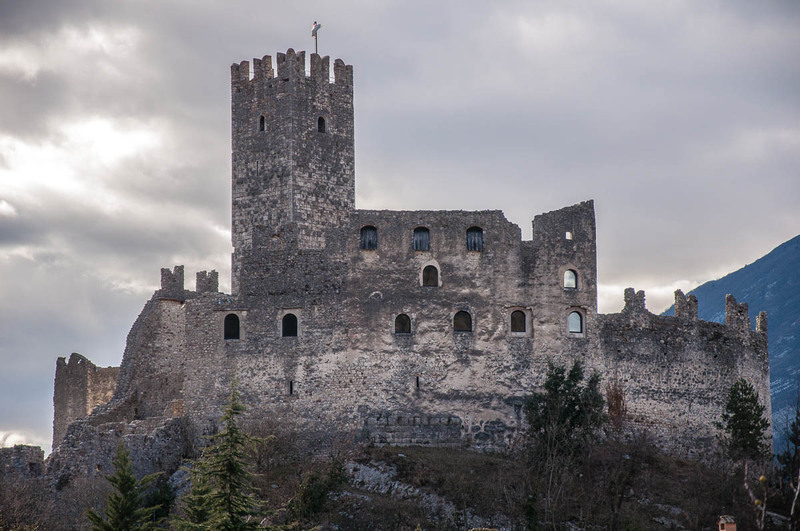 Finish your sightseeing for the day with a visit to Arco’s medieval castle (if you haven’t had a chance to do it the day before). Check its opening hours at the provided link. 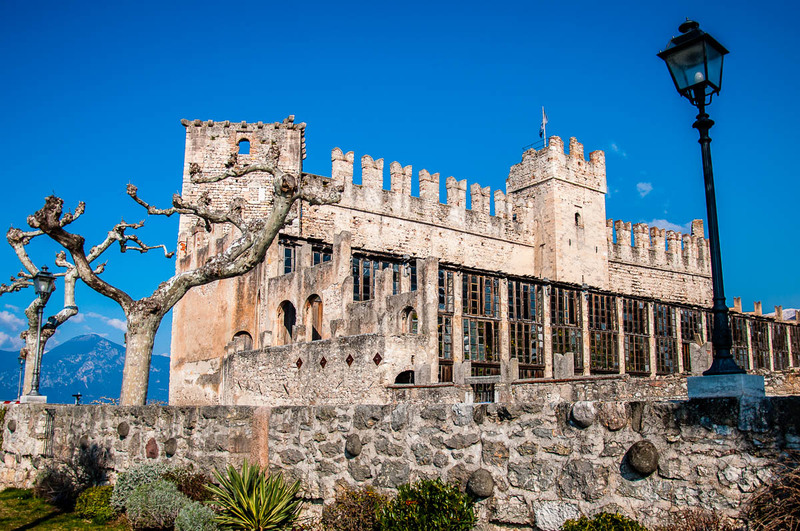 The castle has an interesting history and, with its strategic position on top of a hill, it affords you some inspiring views over the lands of Trentino, Italy and the Northern end of lake Garda. Today, you will be heading to Trent (or Trento in Italian). This is the capital of the province of Trentino, Italy. 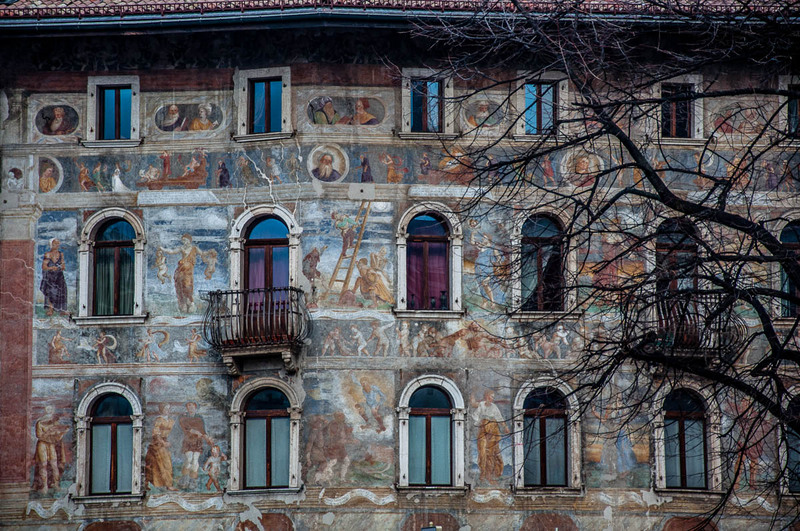 The city has a lovely historical centre with many frescoed buildings – a dream to photograph. From Arco (or Riva del Garda, depending on where you have decided to base yourself), it’s only about 45-50 mins to Trent. 1. With children: spend an hour exploring Trent’s historical centre. See the Cathedral, Piazza del Duomo, the Neptune fountain, the frescoed buildings. Then head straight over to MUSE – an interactive and fun museum of science and natural history. We spent four hours there and it was not enough to see it and try it all. 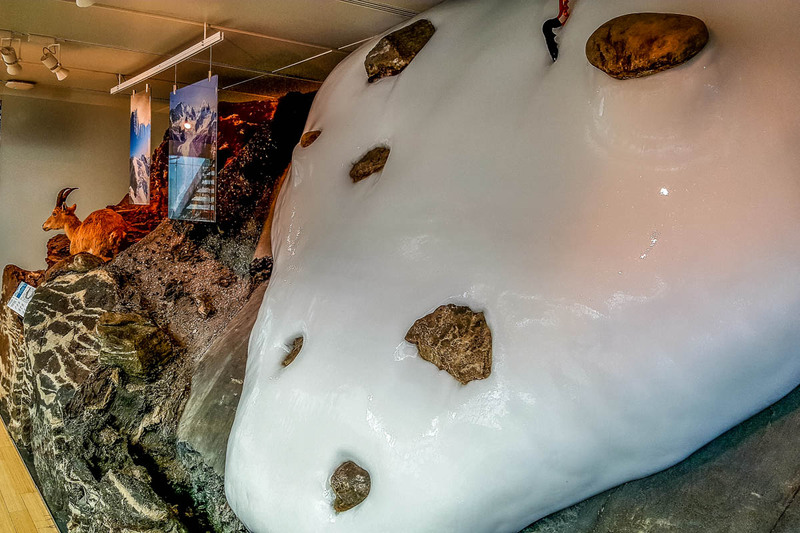 My favourite thing in the whole museum was the model of an alpine glacier made of real ice. We were lucky to visit MUSE on its Darwin Day. Several stalls had been set up through the museum with lots of fun activities. The museum workers were really dedicated to teaching children about science in an engaging, practical way. 2. Without children (or with children interested in history): spend a couple of hours (or as much as you want, really) exploring Trent’s historical centre, its cobbled squares, churches, and its various museums. Then, head over to the Buonconsiglio Castle – home from the 13th to the 18th centuries of the prince-bishops of Trent. 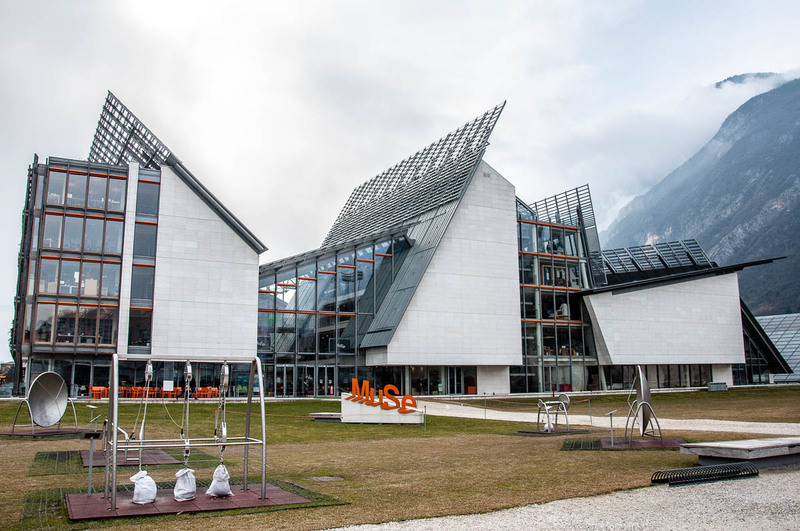 In case you are super organised, manage to see it all, and still have time to spare, then head over to nearby Rovereto. It’s less than 25 mins away and it is another lovely city in Trentino, Italy deserving of your attention. Read more about Rovereto here. See a video of Rovereto’s highlights here. This is the last day of your four-day trip around the beautiful province of Trentino in Northern Italy. 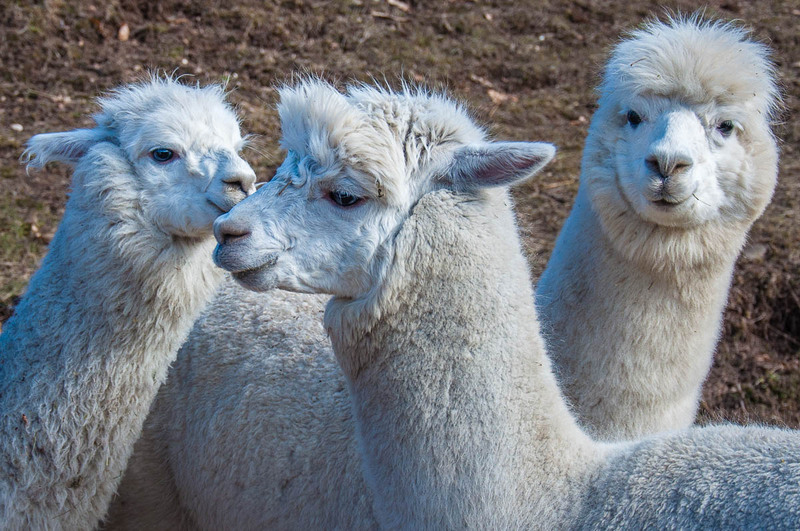 Today get ready for a really unique experience – hiking with alpacas and llamas! Customarily, you would need to travel all the way to South America to be able to do this. Yet, here, in the heart of Trentino, there is a lovely herd of these gentle animals that you can get close to and take for a walk through the local forests. How to make this happen?! 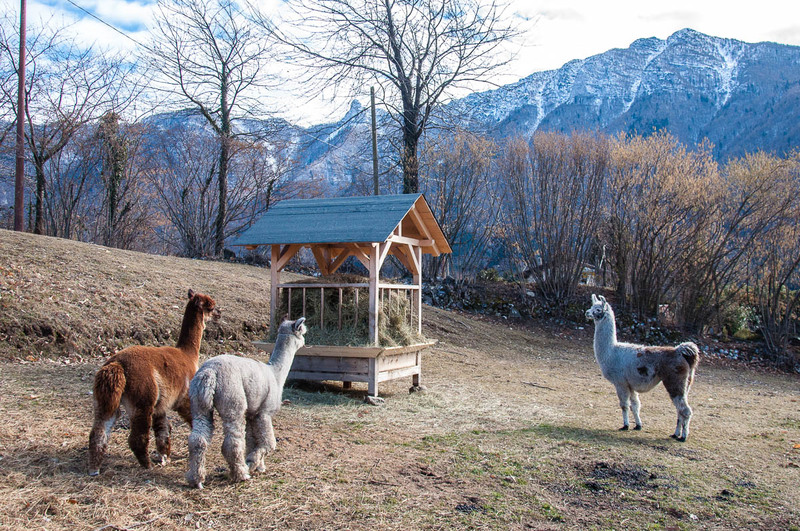 Contact Maso Eden – a bio farm in Trentino, Italy – via this website: Lamalpaca. Make sure that you get in touch with them a few days before your trip, so that they can book you on one of their hikes with alpacas and llamas. Maso Eden is around 30 mins away from Arco and Riva del Garda. The drive there is easy and takes you through a stunning mountainous landscape. The hike with alpacas and llamas lasts two hours. The guide speaks English. The path takes you through the forest and some meadows. The terrain is not difficult (there is a slight elevation at places) and even small children can easily manage it (it is not suitable for buggies, though). 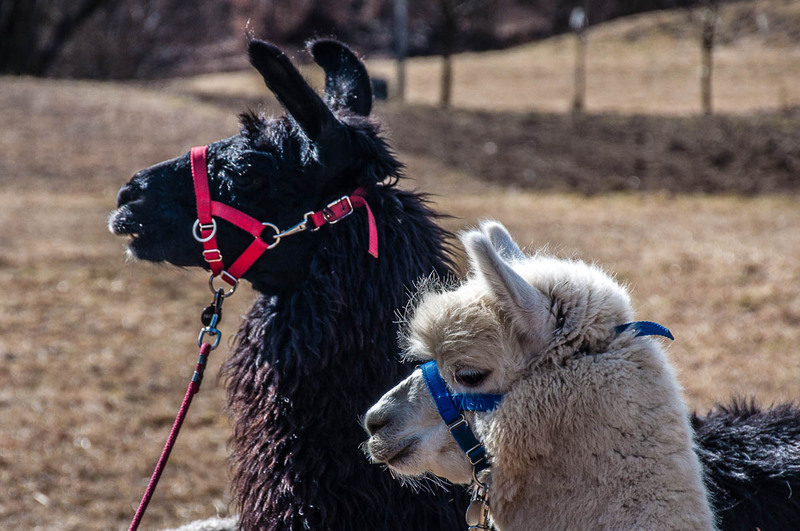 Each adult person on the hike gets to lead their own alpaca or lama all the way through. The animals are shy and very well-behaved. My husband and I got to lead the alpacas Bruce and Adam, who (as we were told) were best friends. The other two girls on our hike led the alpaca Arlecchino and the lama Paredes. We got to learn a lot about alpacas and llamas, and their respective characters from our guide. It was interesting to find out that alpacas don’t like to be petted on top of their heads. 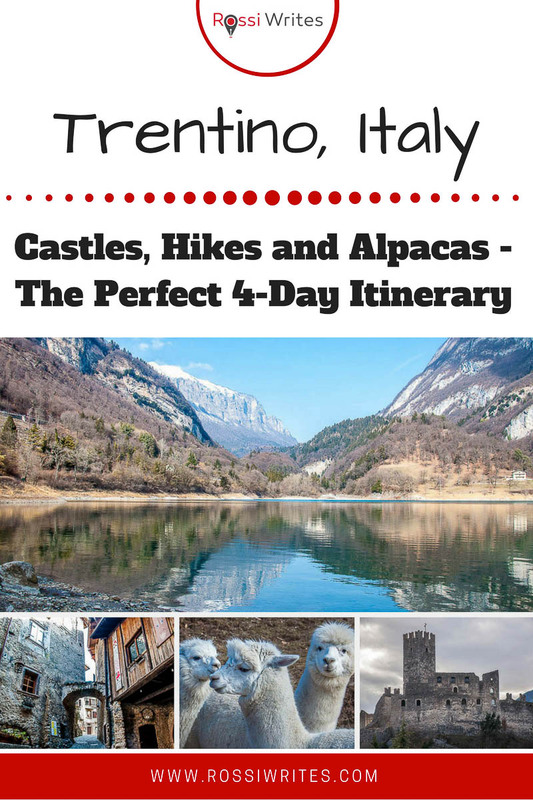 I have to say that the hike with alpacas and llamas was my very favourite experience duirng our four-day trip to Trentino, Italy. It was wonderful to be in touch with nature and these gentle, soft animals. Maso Eden is also home to several dogs and countless chickens and ducks of different rare breeds. We had brought some stale bread with us, and fed it to the chickens. Some of the breeds of chickens they have on the farm lay blue and chocolate brown eggs, which were very cool to see. On the way back from the farm, you can visit a true medieval fortress – Castel Drena. It is about half-way between Maso Eden and Riva del Garda. In the afternoon, it’s time to head back to Verona. Follow the curves of the eastern shore of lake Garda. The towns of Malcesine, Garda, Lazise, and Sirmione are a great idea for a stop-over. You would probably have time to see properly just one of them though. So, choose carefully based on this list here. Or, you may prefer to spend some time in romantic Verona, in which case head straight there. That’s it! Your perfect 4-day itinerary for the province of Trentino in Northern Italy! I hope you like it and that it would come in handy. Trentino, Italy has a lot to offer to someone who loves nature, history and charming towns. This first-hand tried and tested itinerary is a great way to introduce you to the beauty of the province. This way you can keep coming back for more. I really enjoy Rossi’s posts! Wishing I was there, but looking forward to next time. Thank you!